1. Access to our Free Report on how we helped a client turn a $299 investment into $55,000 in just 7 months. 2. Occasional communication pieces from me with tips on how you can use the Internet to boost your business and increase your profits. The first one will ask you to confirm the email address you gave us. We put this step in place so that only people who want to receive the Report are contacted. Please click on the link in that message where indicated and your email address will be confirmed. 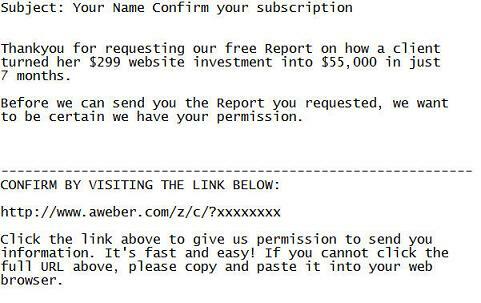 The second message will contain the link to the Free Report on how a client turned her $299 website investment into $55,000 (and counting) in just 7 months.